Looking back on motherhood thus far, I can recall plenty of times where I said, "It will be a miracle if..."
"It will be a miracle if he ever sleeps": Thankfully he now sleeps through the night, even if that "night" ends at 5:30 am. "It will be a miracle if I can get him to sleep without rocking or wearing him": He now nestles down in his big boy bed and falls asleep on his own! "It will be a miracle if I ever get my bed back": At 20 months, he transitioned smoothly into a twin bed in his own room! "It will be a miracle if he ever gives up the bottle": We've now been bottle free for 3 months! In the midst of the day to day grind of motherhood (wake, coffee, adult, repeat) these milestones can feel so far, so insurmountable that they seem almost miraculous when they happen. 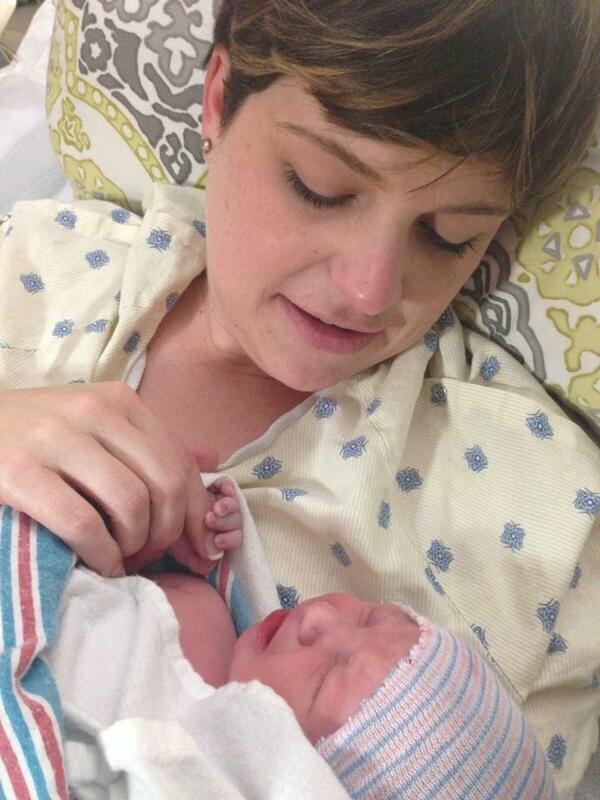 But what I really want to talk about today is the miracle of becoming a mother. I find conception to be pretty damn miraculous. Did you know that even in your twenties you only have a 20% chance of conceiving each month? If you have healthy eggs, regular ovulation, a partner with good swimmers, a clear path in your fallopian tubes, and you happen to get busy at the precise time of the month that all these align, you still only have a 20% chance of getting pregnant that month. By the time you are 30, that drops to 15% and to 10% at 35. So, to my ladies who got pregnant their first time out of the gate after a few glasses of wine, YOU have a miracle on your hands. For me, pregnancy did not come quite so easy. My eggs were the culprit. At 29 years old I was diagnosed with severely diminished ovarian reserve (DOR) basically this meant that at not even 30 years old, I had the eggs (quantity and quality) of a woman in her mid-forties. For the next 7 years we tried a variety of treatments before hauling out the big guns and undergoing Donor Egg IVF. When I say that my son is our miracle baby, I truly mean it. It was a miracle that my faith, marriage, and bank account could withstand infertility (it's a beast. 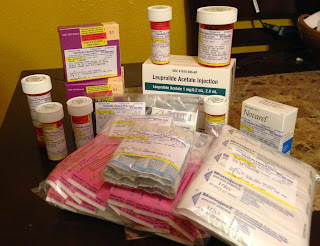 This pic is just the meds I took in preparation for IVF. It does not include the 12 weeks of progesterone shots I took once I was pregnant). It was a miracle that we found a donor who although we never met, gave us such a remarkable gift. It was a miracle that this teeny, tiny embryo decided to implant in my womb. It was a miracle that he stayed safe and cozy for 41 weeks. And boy was it ever a miracle when he finally found his way into my arms. Now my miracle is almost TWO and is delighting (and challenging) us daily. It's a miracle I don't smother him in kisses. I mean, get a load of this cuteness! So mommas, how are you celebrating the miracles of motherhood today? I'm so thankful for you sharing your story. It's a beautiful one! I, too, count our boy as a miracle because I lost a fallopian tube 2 years prior to his birth due to an ectopic pregnancy. The doctors said my chances of getting pregnant were lower than a woman with a normal reproductive system, but still pretty possible. All I heard were that my chances were diminished, so I thought I would never become pregnant. It was silly to feel this way though. I totally agree with you that conception itself is a miracle. Its amazing how many "stars" have to align for a healthy baby to be born. What a beautiful story. I am one if the ladies who conceived in the first month with my first child, second month with my second child (who I unfortunately miscarried) and the third month with my third child. 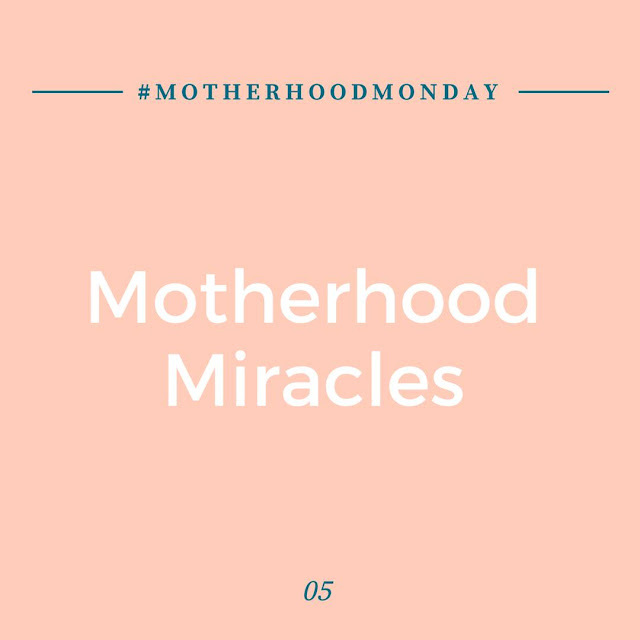 They are such a joy to me and I admire the strength and persistence of mothers that have had to be patient and strong to get their own miracles. You are a strong and lucky lady.